The criteria for the Project is that you are aged between 15 – 29 year olds, in receipt of a Disability Allowance and have a Mental Health and/or mild learning disability diagnosis. The participants will have a pattern of disengaging, they may have started and stopped programmes, projects, education, training and employment, our aim is to identify why this has occurred and how we identify this and encourage them to move forward. • Personal and Household Budgeting – managing bills/direct debits etc. 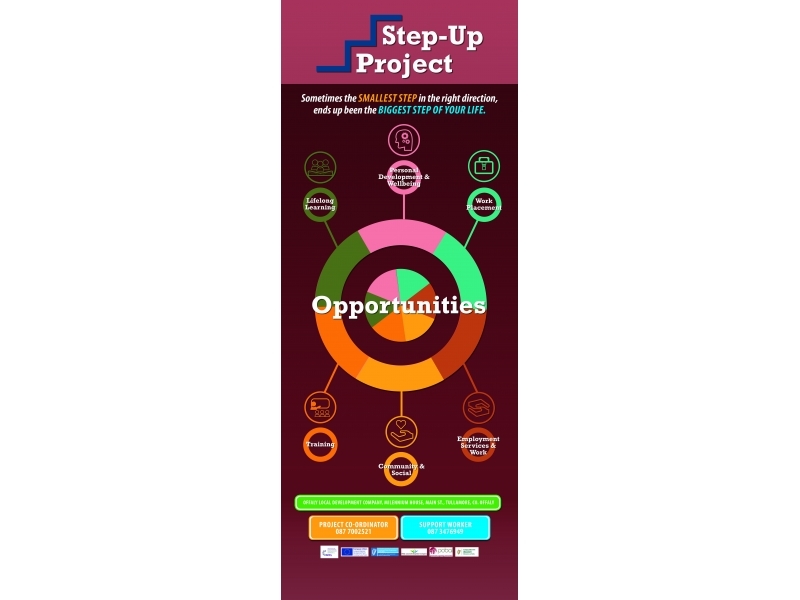 Step Up Project has secured funding for an onsite Counselor, she will be available for a day a month, and will support the participants in their personal sessions. Afternoon supervised study or assignment work support will be available to those that require additional help.